Spray 3- to 4-quart slow cooker with cooking spray. Place chicken in slow cooker. Sprinkle taco seasoning over chicken; pour salsa over chicken. Cover; cook on Low heat setting 6 to 8 hours. About 30 minutes before serving, squeeze lime over chicken. Stir in cilantro. 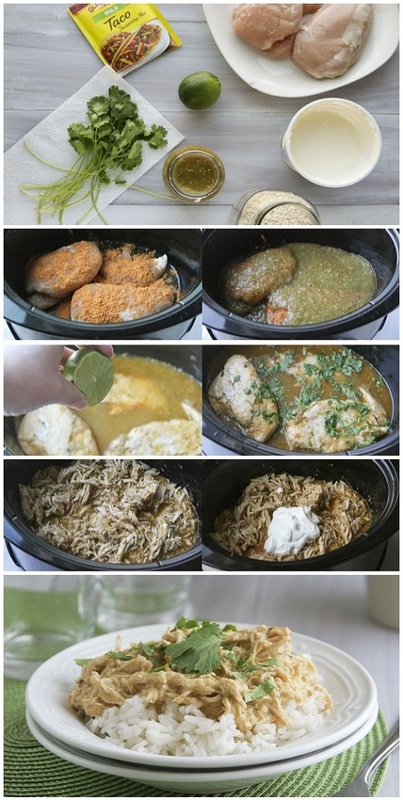 Using 2 forks, shred chicken in slow cooker. Stir in sour cream. Serve chicken over rice. Garnish with additional cilantro, if desired.